Laura practises in all areas of taxation, acting in the course of disputes and litigation and offering planning advice. Her direct tax practice covers personal and corporate taxes and her indirect tax practice includes VAT, SDLT and landfill tax. As can be seen from her list of Recent Matters (below) she has in recent years appeared in a number of high-profile VAT, pensions and employment remuneration cases, both for the taxpayer and HMRC. Laura is qualified to accept Public Access instructions. Brockenhurst College v HMRC (Court of Justice of the European Union)  STC 1112: education exemption. BlackRock Investment Management (UK) Ltd v HMRC  UKUT 415 (TCC) (Upper Tribunal, led by Andrew Hitchmough QC): investment management exemption and apportionment of consideration. Now referred to the Court of Justice. Rank Group PLC v HMRC  UKUT 100 (TCC) (led by Andrew Hitchmough QC): Repayment claims and the impact of Birmingham Hippodrome. Character World Limited v HMRC  UKFTT 456 (TC): classification of product as children’s clothing. Bramall Contracts Limited v HMRC  UKFTT 470 (TC) (led by Andrew Hitchmough QC): Repayment claims arising from car manufacturer bonuses. Vodafone Group Services Ltd v HMRC  STC 1064 (Upper Tribunal, led by Andrew Hitchmough QC): scope of a section 80 repayment claim. Dunne v HMRC  UKFTT 96 (TC): Income tax for offshore divers, whether activities are in connection with the exploitation of the seabed and subsoil. HMRC v Stephen West  UKUT 100 (Upper Tribunal): failure to deduct PAYE and national insurance contributions prior to liquidation. Cyclops Electronics Limited v HMRC  UKUT 7, (Upper Tribunal led by Malcolm Gammie QC): extraction of funds from owner-managed businesses. Hargreaves Lansdown Asset Management v HMRC  UKFTT 127: deduction of tax – whether loyalty bonus payments are annual payments. The Crown and Cushion (Chipping Norton) Limited v HMRC  UKFTT 765: corporation tax deductions – whether expenditure was incurred wholly and exclusively for the purposes of the business. HMRC v Benham (Specialist Cars) Limited  UKUT 389 (Upper Tribunal): business asset roll-over relief, assessments and amendments. Danvers v HMRC  UKUT 569 (Upper Tribunal): unauthorised payment charges for pension scheme members. HMRC v Sippchoice  UKUT 87 (Upper Tribunal): scheme sanction charges for scheme administrators. Advising on a residence status dispute with HMRC. Advising on “requirement to correct” for offshore matters. High Court litigation: representing the minor and unborn beneficiaries of a will trust on an application to set aside a deed of appointment with adverse inheritance tax consequences. Upper Tribunal application: penalties arising from failure to comply with an information notice. Dealing with an enquiry arising from a transfer of assets abroad “motive defence” claim. Particular expertise in offshore trust and family partnership structuring and domicile matters. 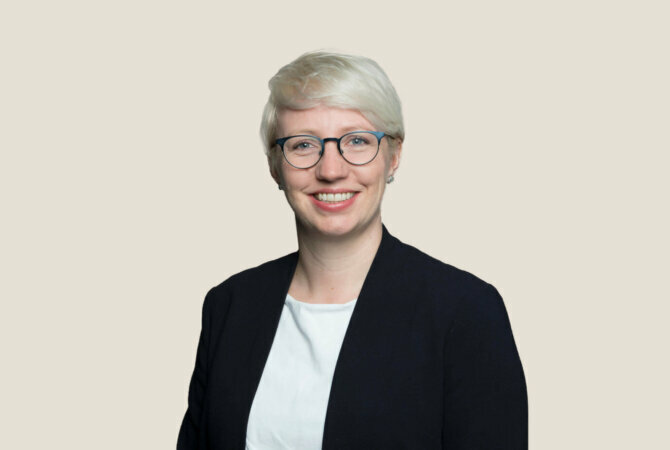 Laura Poots is an experienced tax practitioner, assisting clients with tax planning matters as well as acting in litigation. “Her technical skills are first class, she’s very responsive, she tends to get the right answer and she’s commercial,” reports a source. “She’s very pragmatic and practical, lovely to deal with, very approachable and she takes the complexities out so you can really discuss things with her. She’s absolutely excellent, she’s my go-to person,” enthuses an interviewee.